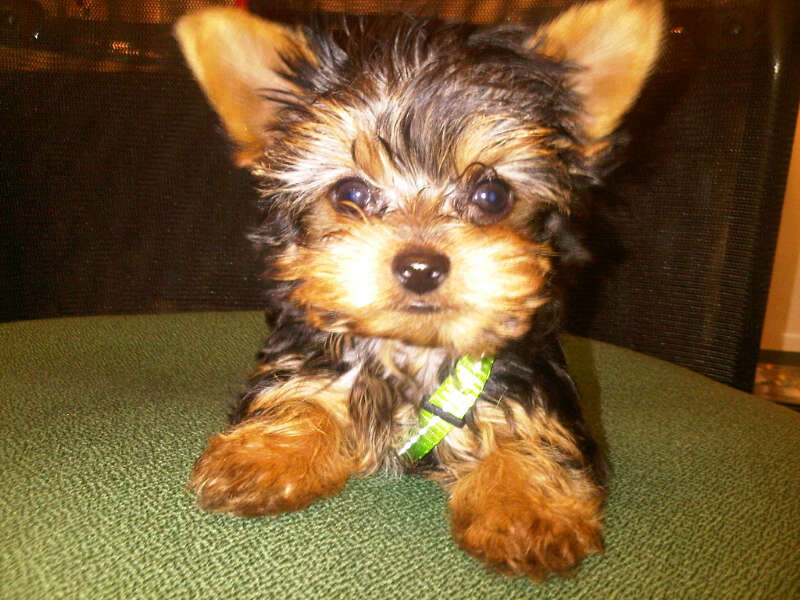 Little Apple ... what a gorgeous little Yorkie puppy. Apple stayed with us till the age of 10 weeks because she was leaving on a jetplane all the way from Lanseria Airport in Johannesburg to Cape Town. Little Apple departed Lanseria Airport at 09h35 and arrived safely in her new mom Annette's arms at 12h00 on the 21st of February. This little Yorkshire Terrier is now a permanent resident of Clifton in Cape Town - too cute for words. 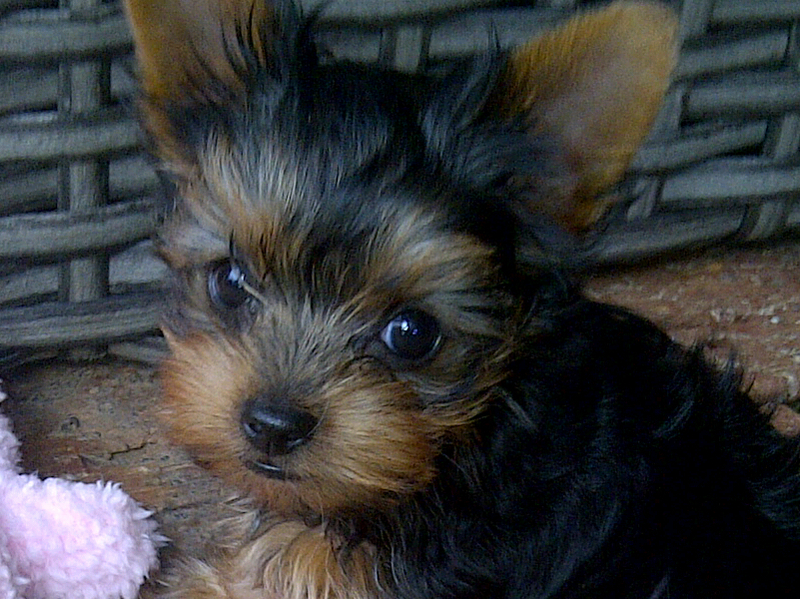 Mom Annette is over the moon and so in love with her new little Yorkshire Terrier puppy. Annette tells me Apple has taken over the house (and Clifton!) and that Apple is about to turn heads on the beach - when she is a little bit older off course - well I can believe that because this little Yorkie madam is certainly a looker! 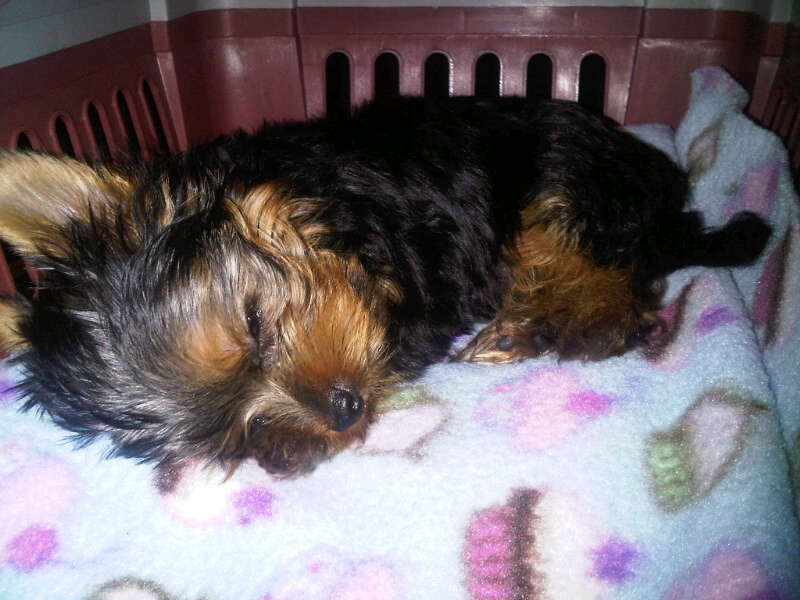 Annette sends me daily pictures of her special little Yorkie called Apple which I would like to share with you. Apple is a daughter of Bienkie and Joss, born on the 16th of December 2012.